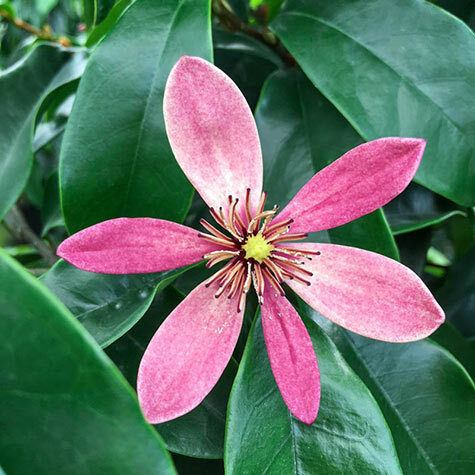 Stellar Ruby Magnolia | Gurney's Seed & Nursery Co. Fast-growing evergreen magnolia makes a showy screening plant with dense, shiny green foliage. Small, fragrant flowers of ruby-pink bloom in spring. Grows 10-15 ft. tall with a 5-6 ft. spread. Full sun to partial shade. Zones 7-9. Foliage: Attractive, dark green, dense, evergreen foliage. 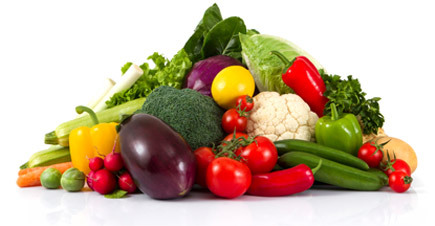 Soil Requirements: Well-drained, organically-rich, slightly acidic, moisture-retentive soil. Not wet, not dry. Growth Rate: Growth rate-moderate to fast. Comments: Ruby flowers open in spring, releasing a wonderful fragrance that fills the air. Fragrance is stronger in the warmth of afternoon. Tannish purple flowers bloom sporadically summer to fall. Attractive, dark green, evergreen foliage and its dense, pyramid growth habit make it excellent for screening.